So the teams from Group A of AFC Asian cup has made it all the way to the final with home team Australia going head to head against South Korea for the Asian football championship final match. Both teams has already meet in the group stages where South Korea defeated Australia by a goal or none at the Brisbane Stadium on 17th January 2015. Korea of course have been unbeaten in the competition going into the final, they won all of their three group games by 1-0 margin, while beating Uzbekistan in the quarter finals in the extra time and beating Iraq by 2-0 in the semifinals. Australia on the other hand is the highest scoring team in the tournament and only lost 1 game which was against South Korea. Tim Cahill has been scoring for fun and he will be the key man going into the saturday’s battle. Australia defeated UAE in the semifinals where SAINSBURY & DAVIDSON scored 1 goal a piece in a routine 2-0 win. here is the match schedule of 2015 AFC Final. How to watch AFC Asian Cup 2015 Final Live Online ? Live streaming of the AFC Asian Cup has been available on the official youtube channel (youtube.com/user/theafcasiancup) plus the extended match highlights in most of the countries around the world. There are also number of free streaming sites which has been placing live links to AFC Asian cup games and the final will be no different. On this page however we will be providing you with live streams links of the final game between Australia and South Korea, links will be available 1 hour before the kickoff. There will be a primary stream on this page accompany with alternative streams links. So checkback at around 07:00 pm australian time to get live coverage of the final right here. South Korea has the best defense in the competition as they haven’t conceded a single goal in the 5 matches they have played so far, but they have been getting very narrow wins. While Australians look like a team full of confidence going forward but they do leak goals at the back. Korea will be slight favorites having already beat the home side in the group stages. But I am going with a home win in the final because of the sheer amazing football Australia are playing at the moment. What you think of the final match up ? let me know your predictions in the comments box below. 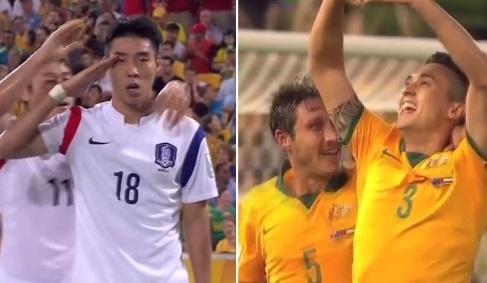 I leave you with the highlights from the group game between the two teams where Korea defeated Australia 1-0.